Every now and then, the R&B genre is blessed with talent that changes the game forever. 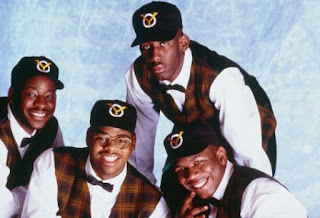 In 1991, the world got introduced to the Philadelphia born and bred group Boyz II Men, who won over audiences with their debut "Cooleyhighharmony". Armed with amazing harmony, vocal ability, and a great vision from producers, this group became one of the most popular groups during the 90s, not just in R&B, but period. After their success, a sophomore album was due of course. Following a Christmas album that featured the huge hit "Let It Snow", Boyz II Men was ready for even bigger things. Their official second album would arrive in August 1994, just 9 months after the Christmas album would hit, and be aptly titled "II". 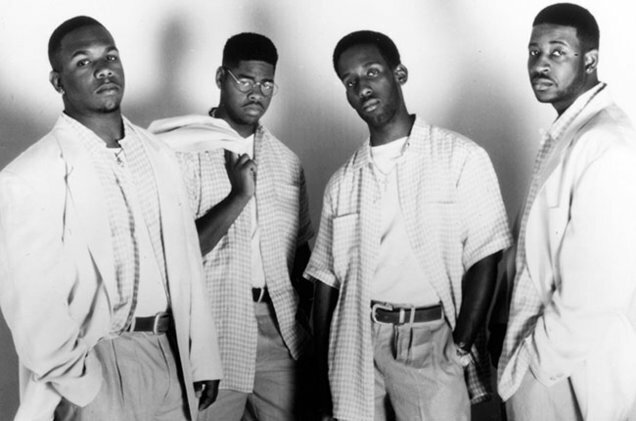 Recorded during December 1993 through May 1994, the album would become the biggest component to their legacy as a group, sales wise at least. 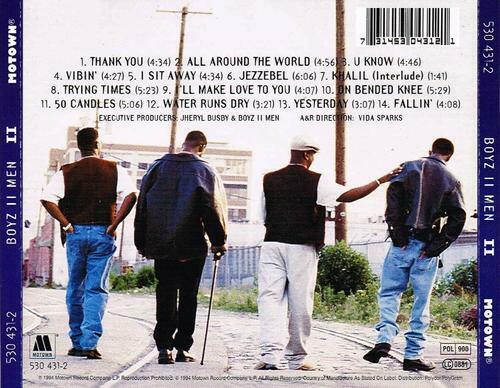 Today, we wanted to look back nearly 23 years to remember this landmark album that remains not only a classic in 90s R&B, but one of the biggest R&B albums ever. 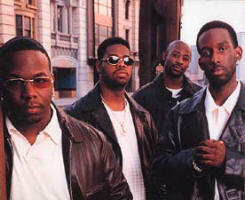 Initially this album was supposed to be produced mostly by the duo Tim and Bob, who were personally asked by Boyz II Men to do so. However, Jheryl Busby (now immortalized from the New Edition biopic), wasn't too comfortable with an unknown production duo handling the album, and in hindsight, that might have been for the best. Tim and Bob had some amazing contributions and produced over 20 records for II, but many of them were left on the cutting room floor or given to other artists later on. 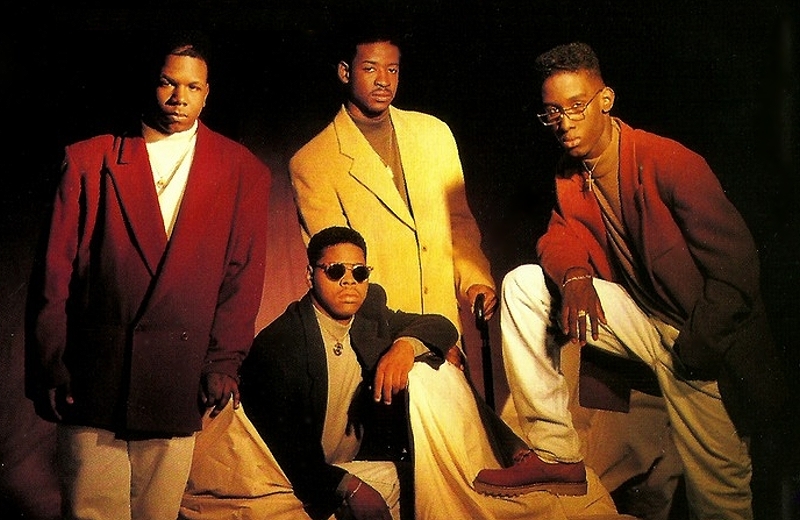 None of the songs that did make the album from the production duo became singles, a creative decision that I'm sure Boyz II Men weren't full happy with, but when you consider who Jheryl brought in to handle songwriting and production, it was a no brainer. The team of Jimmy Jam and Terry Lewis were proven hitmakers and amazing producers. The same could also be said for LA Reid and Babyface. When both were brought in to put the final touches on the II album, I'm sure the belief was that they could deliver top 10 hits for the group and help push that album to multi platinum, but I don't think anyone could have predicted just how big the album would be. Before we get to that, let's look at every producer and songwriter that took part in the album. 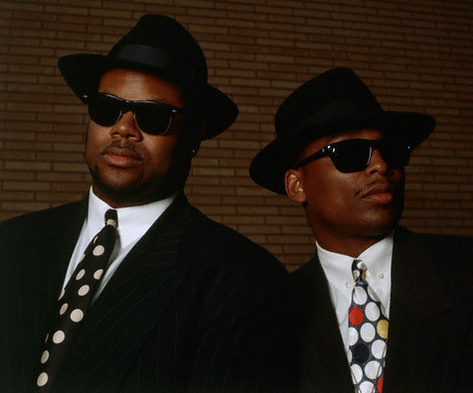 There were of course the aforementioned Tim and Bob, Jimmy Jam and Terry Lewis, and of course Babyface and LA Reid. Those are the biggest key players in the album essentially. There were also contributions from Tony Rich, Boyz II Men themselves, Dallas Austin, The Characters, and an international edition contribution from Brian McKnight. Motown built a small team to help make this album and it worked out very well. I still think Tim and Bob got a bit screwed in the process, but leave it to Babyface and Jimmy Jam & Terry Lewis to take this album to the next level. 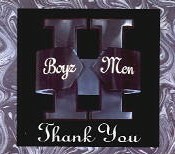 Only one single was either self written or self produced from this album and that was "Thank You". The other singles "I'll Make Love To You", "Water Runs Dry", and "On Bended Knee" are the work of the two all time great songwriters/producers. Overall, the collection of producers and songwriters all work together to make one cohesive effort. With each song, it seems the group put a different flavor in their harmony and vocals. The end result worked very well, but let's take a look at the track by track breakdown of the album, to see the best songs, singles, and what tracks miss the mark. -The hip hop inspired production here is smooth yet upbeat also and provides a nice contrast to their soft harmonies. It follows up the vibe of "Thank You", and I'm slightly surprised this wasn't given a video or made a single. It keeps the sound and the feel that the group captured on their first album, so I was a bit shocked that it wasn't given more attention, but I've always referred to this song as the Boyz II MEN "Award Tour" track, and it works very well. No surprise that Jimmy Jam and Terry Lewis were behind this one, as it has an infectious feel to it, and a small remnant of New Jack Swing. -I can't lie. I wonder what Tim and Bob tracks didn't make the album, and what quality they were because I feel like they had something better than this in the archives. The production is a but bland despite the knocking drums, and the hook is a bit... lifeless. The song is probably the weakest on the album and though the harmony is well in tact, it just doesn't hit as hard as it usually would and this song just sticks out as one that misses the mark. -Tim and Bob come back with a solid track here, and the hip hop vibe here is perfect. The hook here is so smooth and the vocals flow together perfectly behind the production. I always find myself singing along to "we're... just.... vibin...." every time this song comes on. Though I wouldn't consider this my favorite on the album, it's really a dope track and has one of the more infectious vibes of the non ballad songs on the album. -The Tony Rich and LA Reid produced and written track somehow doesn't really do it for me. Don't get me wrong, I prefer it over "U Know", but there is something about it that just feels off. It's not a bad song by any stretch, and considering it was 1994, this song reminds me of the era every time I hear it, but it's just not as full of volume and life as some of the other tracks on this album. The hook is solid and of course the production is solid, but compared to the rest of the album, it just falters a bit. Still a solid track. -The song opens with a slightly funny interlude/intro skit, and leads into a glorious production vibe that carries over into the song. The harmony here is exactly what you'd expect, and something about this song is just too infectious. There's a small bit of jazz vibe here as well, and that only enhances the song in general. Personally, this is one of my favorite songs on the entire album and I really can't find no flaw in this track, minus perhaps eliminating the skit, but it still fits with the song itself. -A short interlude dedicated to their tour manager who was murdered while the group was out on tour. I won't speak much on it or rate this track, but I will say that within the harmony, you can hear the pain of the loss in each member's voice. 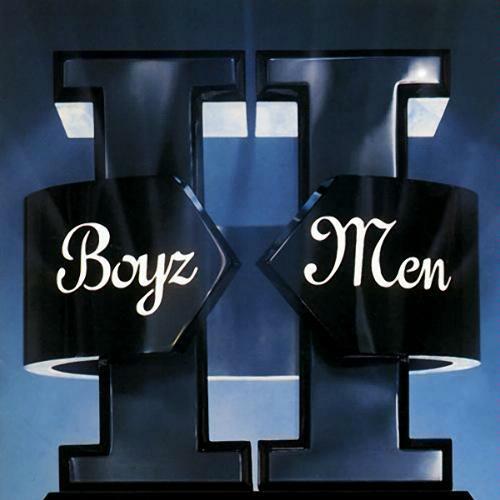 -One of the best songs in the Boyz II Men catalog IMO and my favorite song on this entire album. This is pure 90s R&B at its finest. Surprisingly, Tim and Bob produced and wrote this gem, and if we're being honest, this could have definitely been a single. The harmony, the hook, and the production (check the guitar riffs throughout) are perfect, and the best part of the song? The breakdown at the end of the track when Wanya does his usual "going off", though subdued a bit. Everything about this track is R&B perfection. -There aren't too many iconic R&B songs quite like this one. This is the epitome of a ballad. 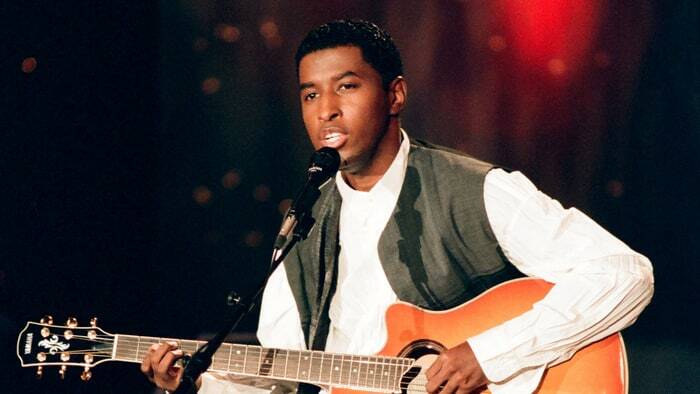 When we speak of "simp R&B", very few groups did that quite as good as Boyz II Men, and no artist could do that better than Babyface. So what happens when you take those two and combine them? You get one of the biggest R&B hits in the history of the genre. The song is probably the most well crafted ballad of the 90s and far too infectious to deny. A true classic. -There's no way you have Jimmy Jam & Terry Lewis on the album and don't have them craft a classic ballad. I remember the first time I heard this song. I was instantly drawn to the song and the sound. It felt resounding. It felt epic. The harmony was pure, and the way the vocals were layered just felt perfect. 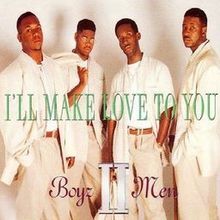 When speaking of my favorite ballads in music, though "I'll Make Love To You" is more iconic, this is much better and my favorite Boyz II Men single. However, one has to laugh at the "I'll never walk again... until you come back to me" line from time to time. As ridiculous as it was though, it worked to capture the hearts of women everywhere and have brothers singing it to their ladies. Job well done. -Another flawless ballad after another? This album catches fire in the 2nd fire and never seems to let up. Co-written by Shawn of the group alongside Tim and Bob, this is yet another epic track produced by Tim and Bob that could have been a true single. 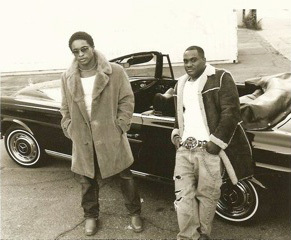 It begs the question, why wasn't this up and coming production duo given a shot to have a single released from the album? Politics as usual I'd say, but from the harmony to the spoken word that Mike brings (a staple of classic 90s R&B), this song is another perfect ballad. -Babyface is undefeated when it comes to ballads. This one, complete with his signature sound, is another flawless track. It sounds majestic as it starts, with the production bringing pianos, guitars, and strings together for a glorious soundbed. The song, meant to speak to a lover who's grown distant, speaks directly to that phase before a breakup or before fixing your problems. The melody is infectious here and the hook is one of the best, if not the best harmony wise. Another true classic on this album. -This is a cover, but it's so much better than the Beatles original (though Marvin Gaye has the best version). This is a capella of course, and a prime example of the greatness that they can bring as a group with just pure vocal and harmony. A great cover, and a very dope way to end the album, by utilizing the skill that got them there in the first place. When we look back on the album, aside from it having hits and quality ballads, it became one of those rare albums to cross the diamond threshold of album sales. With over 12 million copies sold in the US along with the Grammy award for Best R&B Album, this album is the biggest moment of their career commercially. As far as their singles, they could do no wrong as "I'll Make Love To You" hit no. 1 on the Billboard charts and remained there for 14 weeks. It would also become one of the biggest songs ever, and finish at no. 19 on the Billboard Top 100 All Time songs, proving the staying power of not only the album, but their singles. 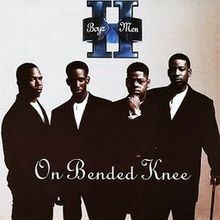 "On Bended Knee" would also hit no. 1 and remain there for 6 weeks, after it overtook "I'll Make Love To You" for the top spot. It's so rare for an artist to replace themselves at no. 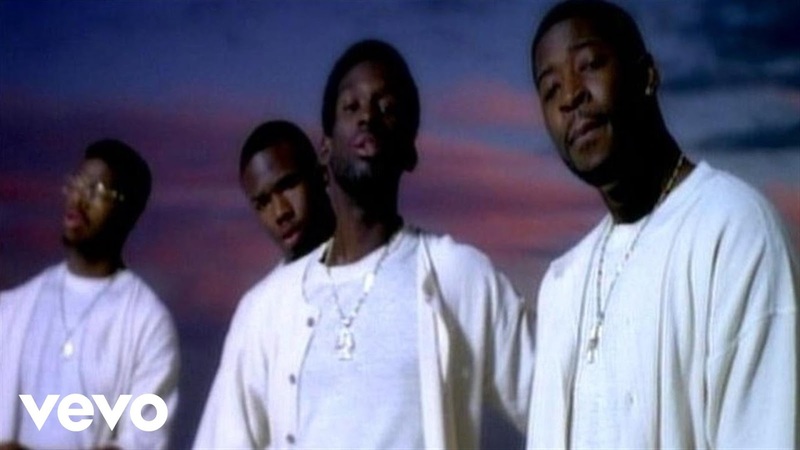 1 on the charts, but Boyz II Men did it. 20 weeks at no. 1 between two singles, it's honestly unheard of. 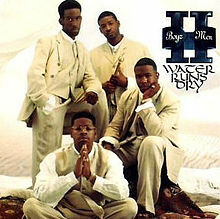 The group would also have "Water Runs Dry" hit no. 2, coming so close to securing the no. 1 spot. That level of commercial dominance is reserved for only the best of the best, and if there is one thing that "II" should be remembered for, it's asserting Boyz II Men as one of the best, and one of the greatest acts in music that we've witnessed. Is this album a classic? I don't even think that's a question. Musically, commercially, and impact wise, you'd be stumped to find many albums that mean more to the genre. Period.